This week we are going to learn about Pets and the People who care for them. Spend time this week talking about how we care for Pets, Different kinds of Pets, and their differences. If you are able to take a field trip in your community consider: A local Veterinarian, Shelter, or Pet Store. *These items are Pre-K Printable Fun printable activities and products. Want unlimited access to all of my printables? 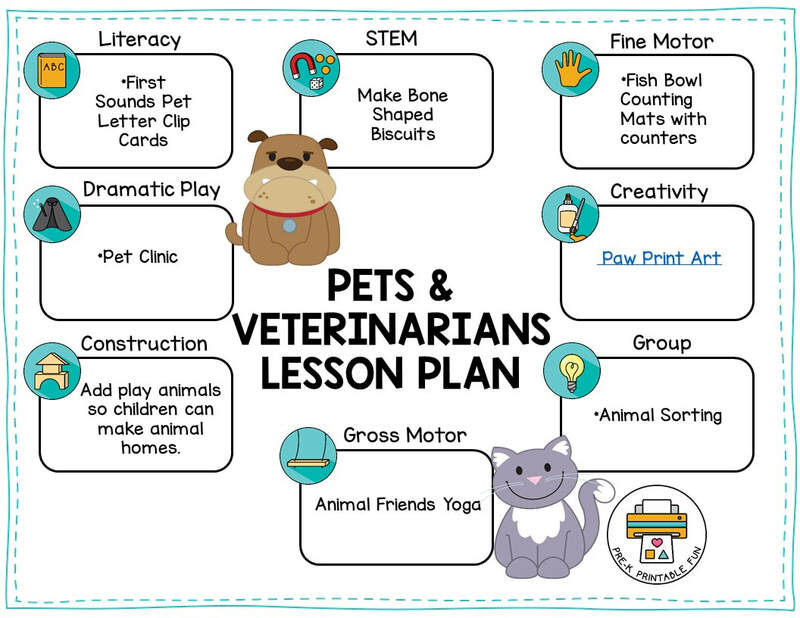 Join the Pre-K Printable Fun printables club! Thank you for so much for your support! Your purchases allow me to maintain my Website. Directions: Use dog bones, dipped in paint to create an open ended Pet Art Project. Step 1: Have the kids paint a paper plate with "Aquarium Colors" and glue on Goldfish Crackers once it has dried. Step 2: Have the children cut out the center of a second paper plate. 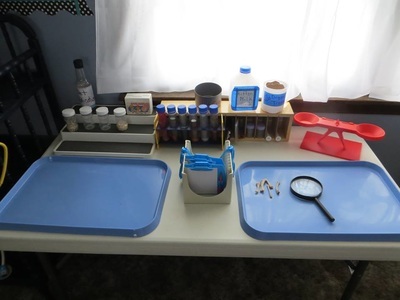 This week we are going to take care of our pets health by creating a Veterinarian Space. Other ideas include creating a Pet Adoption Center or a Grooming Center. 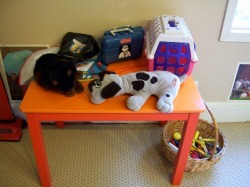 To create an imaginary Veterinarians Office in your Space this week. 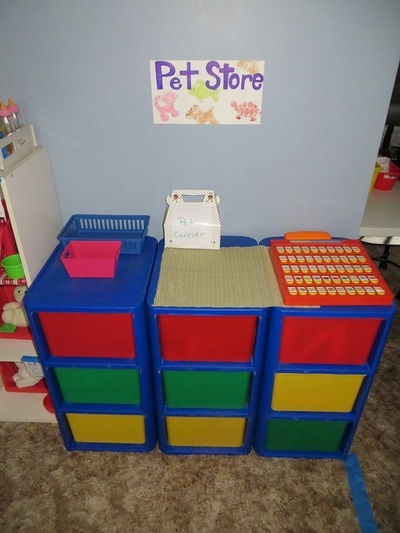 Add Stuffed animals, clipboards, Water bowls, Pet Carriers/cages, Doctors Sets, and Books about animals. Consider contacting a local veterinarian in your community to see if they have any free pamphlets for you to use as well. 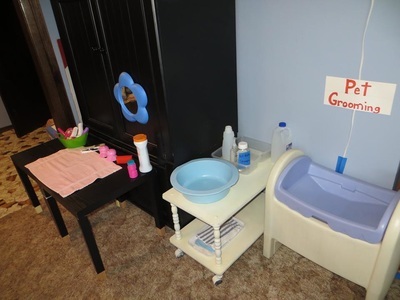 This Veterinarian Dramatic Play space belongs to Pre-K Printable Fun Community member Sherri W. of First Friends Family Child Care. 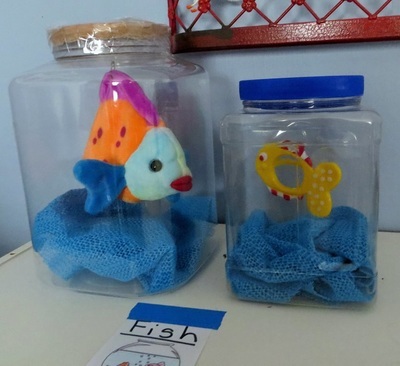 I especially love how she made her fish bowls! The Space below belongs to Pre-K Printable Fun Community member LaShay Cole. I love her variety of Pets! 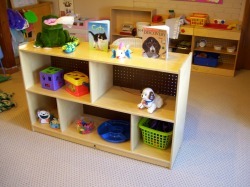 Be sure to add a variety of plastic/wooden play pets in your construction area this week. In addition to play homes, you can also add different felt habitats such as Blue Felt for Sky or Water, Green Felt for Grass, and Brown Felt for Dirt. 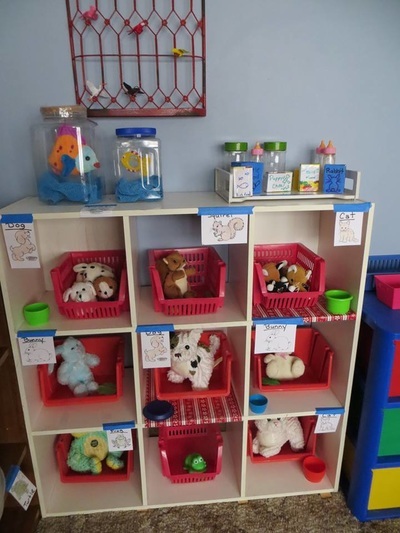 Consider adding stuffed animals to the building space as well so that children can build homes for the pets. 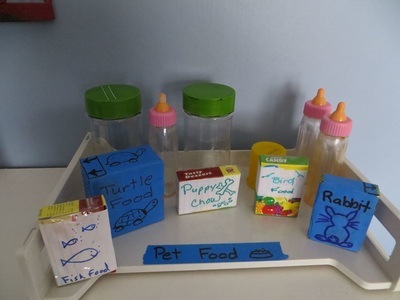 Have the children place Pet Counters next to the Food they think each animal Eats. If you don't have pet counters you can substitute with Pictures of Rabbits, Dogs, Cats, Birds, and Fish.